A bedwetting alarm is a revolutionary device that emits a tactile or an auditory sensation in response to wetness. However, bedwetting alarms are completely new to some, and that is why we want to assist you in making the right decision when it comes to purchasing them. 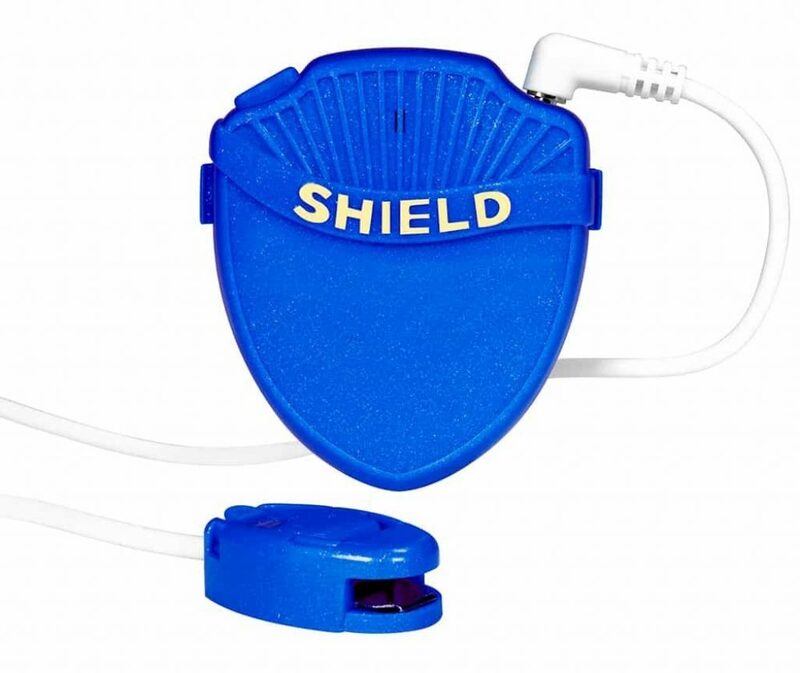 The below reviews will help you find the best bedwetting alarm available on the market. Bedwetting alarms are one of the best options you have as far as dealing with this issue is concerned. When it comes to the current offer of alarms, 2018 might probably introduce new models. However, until that happens, rest assured that our reviews below are, indeed, the best models you can currently come across. This alarm for boys and girls combines sounds, vibration, and light to wake up children even from the deepest sleep. This is an award-winning bedwetting alarm, and for a good reason! It is comfortable and lightweight and also features secure grip and quick detect technology. 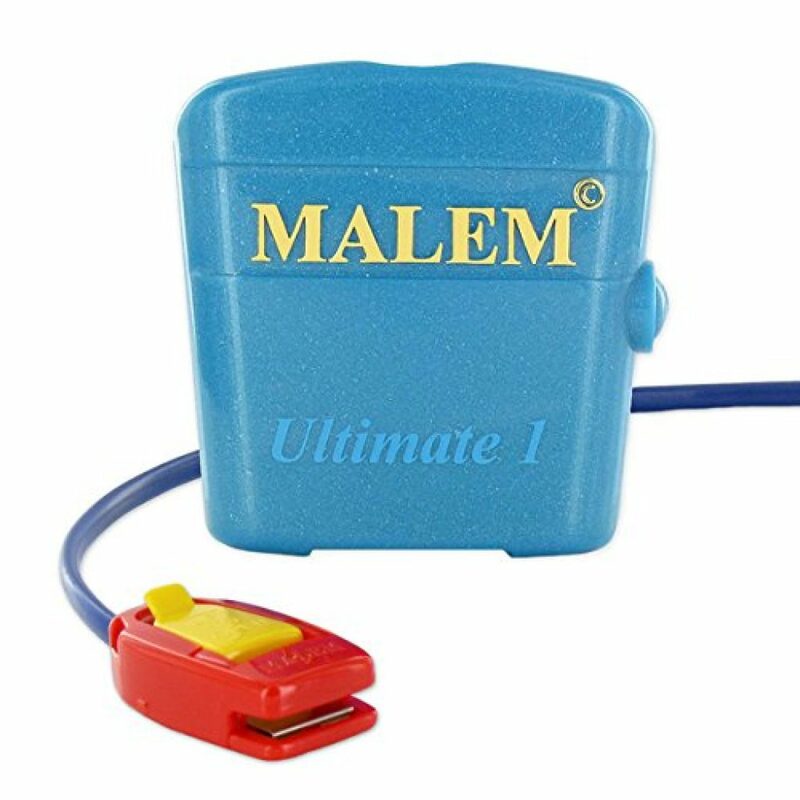 The first locks the Malem bedwetting alarm in place, so it doesn’t fall off as the majority of similar models do, whereas the latter is responsible for detecting bedwetting from the first drop so that the child is notified on time. Unlike others, this alarm doesn’t have a single tone but eight different ones. It also comes with vibration settings, volume control, and two bright lights to help wake even the deepest sleepers. It features one drop detection technology, so a bedwetting incident will never be missed again. 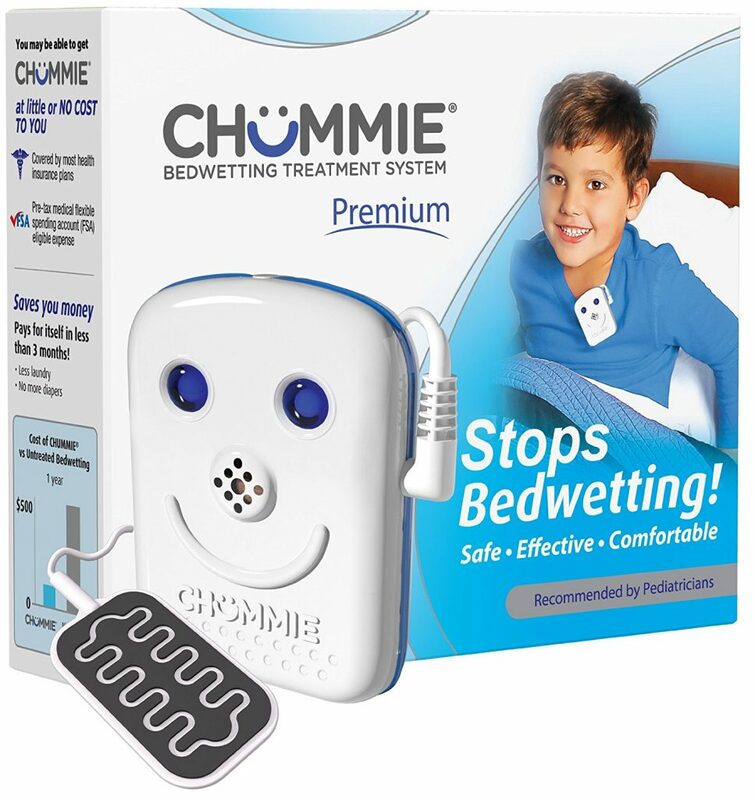 Furthermore, the Chummie bedwetting alarm is lightweight and exceptionally comfortable. This bedwetting alarm has a bright flashing light that will wake any child up. It also features multiple sounds and vibration, although, according to some users, it is not loud enough. This device is extremely comfortable and light. Furthermore, unlike its competitors, this bedwetting alarm also has an on/off switch to easily silence it when it goes off during the night. Finally, there are over 30 designs to choose from, to make it appealing to children. 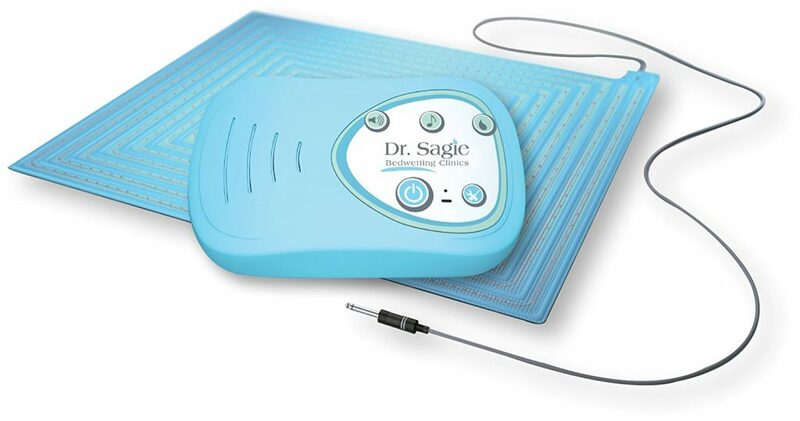 Regardless if at home or on the go, this bedwetting alarm is going to help your child overcome this uncomfortable habit. 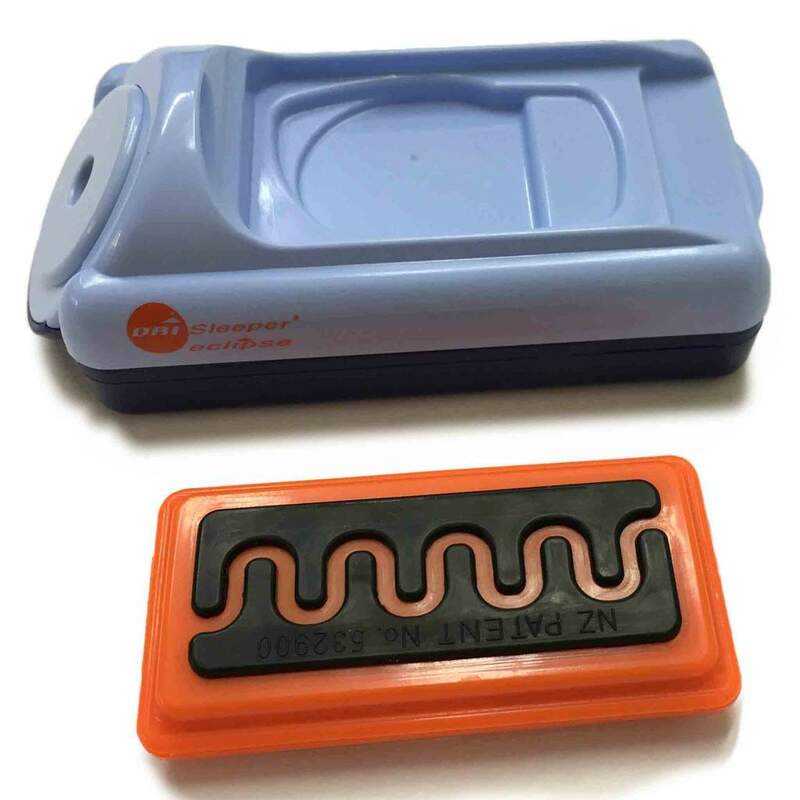 Most suitable for children who are five years old or older, this device offers different ways of alerting you child as soon as the first drop of urine is detected. You can opt for different alert types, i.e., sound or vibration only, or a combination of both. When it comes to sound, there are eight different options to choose from, so that your child doesn’t get accustomed to one. 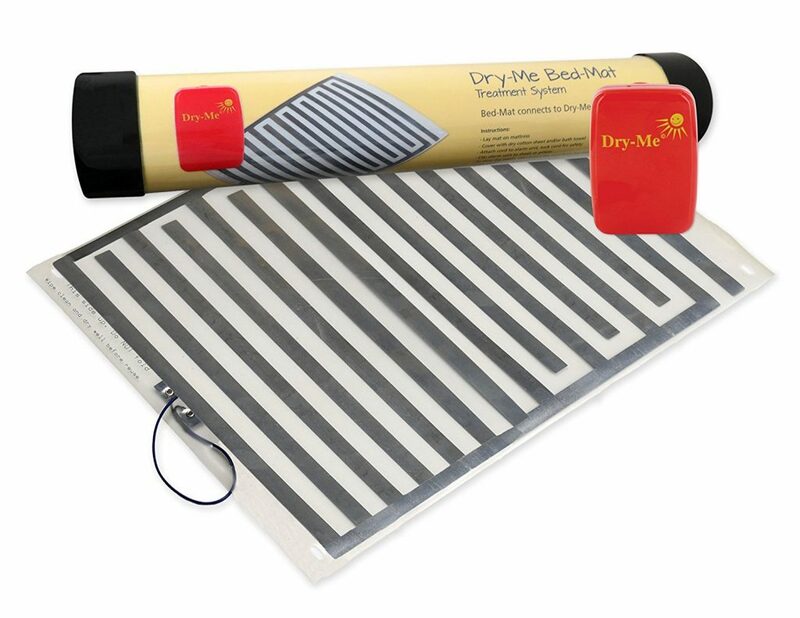 When it comes to a bed alarm for bedwetting that comes as a pad, this one surely is the best on the market. What makes this item special is the web-based interactive software that comes with it. The online portal serves to provide personalized care during your child’s bedwetting therapy. In fact, its main purpose is to store individual data to help you track your child’s progress, according to which you will also be offered custom-tailored advice as to how to proceed with the treatment. 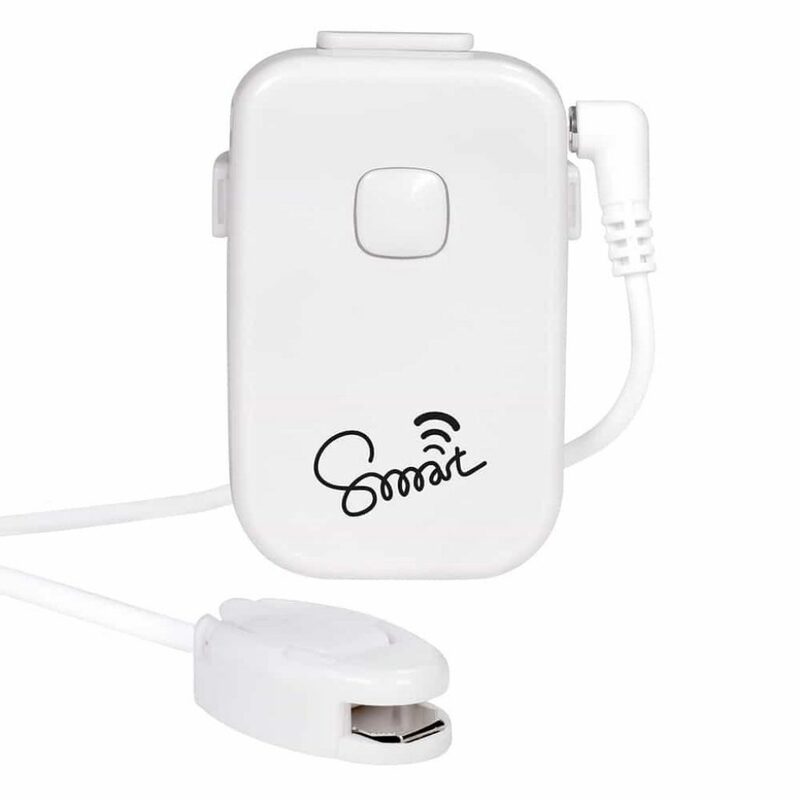 This wireless bedwetting alarm is completely different from any other bedwetting alarm you can currently find on the market. First of all, it is wireless which instantly makes everything easier, plus it is more convenient and comfortable to wear. Furthermore, this is one of the loudest bedwetting alarms you will find on the market, and also provides bed shaking vibrations. Finally, it comes with a remote which gives you the opportunity to silence the alarm as soon as its done its job and your child is awake. Manufactured by a company that has been operating for almost forty years and enjoys only the best bedwetting alarm reviews, this model promises reliability and high quality at a very reasonable price. It comes in three different colors and, more importantly, it has five different sounds; all of which are very loud. The sound diversity is most prominent in this case since your child might get used to a single tone and that might not trigger them to wake up. This one is probably the best bedwetting alarm for deep sleepers. It comes with six different sounds to avoid users from getting used to a single one, with the option to choose one or have them all play randomly. When it comes to loudness, it has four levels of volume, the highest of which reaches 85 dBA. 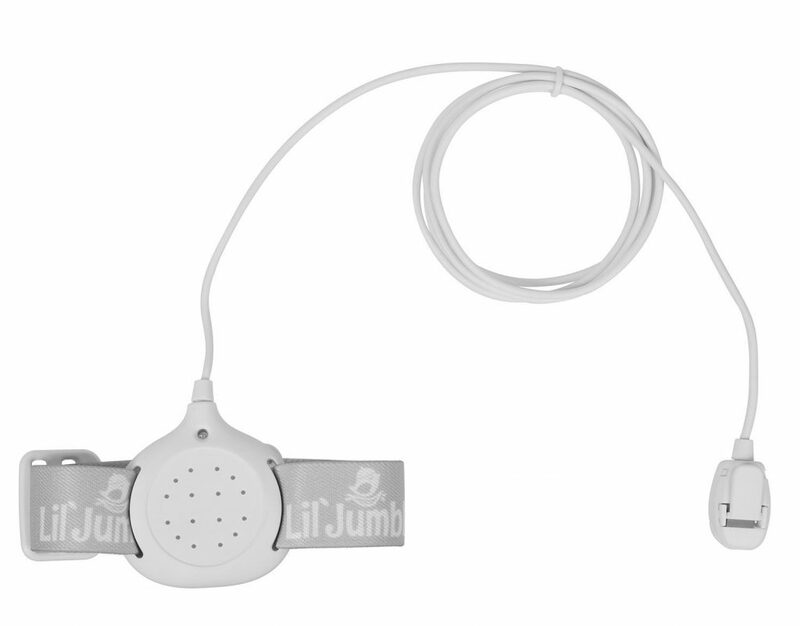 Finally, like with most bedwetting alarms, you can choose between sound or vibration only, or a combination of both. 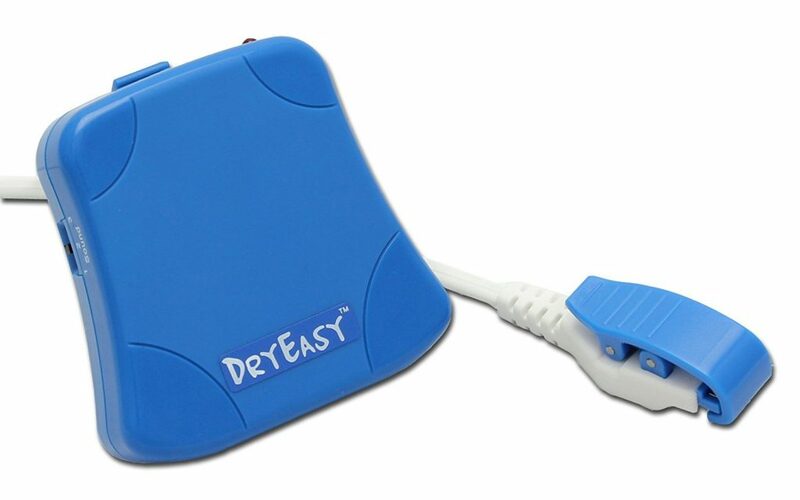 There are many reasons why this is one of the best bedwetting alarms on the market. First of all, it uses a tiny pad that is inserted in the underwear and can easily detect wetness. Furthermore, the actual alarm is wireless and can be placed anywhere in the room. The thought behind this is that your child must get up to turn it off, thus go to the bathroom while at it. That being said, this isn’t very suitable for toddlers. When it comes to buying this bedwetting alarm, Amazon deals are a great place to start looking. If you are looking for something that is going to be a life-changing experience for both you and your kid, look no further. If you decide to opt for this bedwetting alarm, you will soon realize how much thought and care was put into anything from its packaging to its practicality and comfort in use. This is one of the rare alarms which people claim has helped them with medium level sound and vibration. Apart from everything we listed so far, its price is yet another reason why we recommend this device. Suitable for both children and adults struggling with enuresis, this bedwetting alarm promises to help users overcome this issue in a short period of time. Clipped to the user’s underwear, it alerts as soon as moisture is detected. Users report that the sound+vibration combination has proven to be most effective. However, when it comes to alerts, you can also opt for sound or vibration only, depending on how deep of a sleeper you or children are. If your kid doesn’t want to wear a clip-on alarm, then you should definitely consider this alternative. 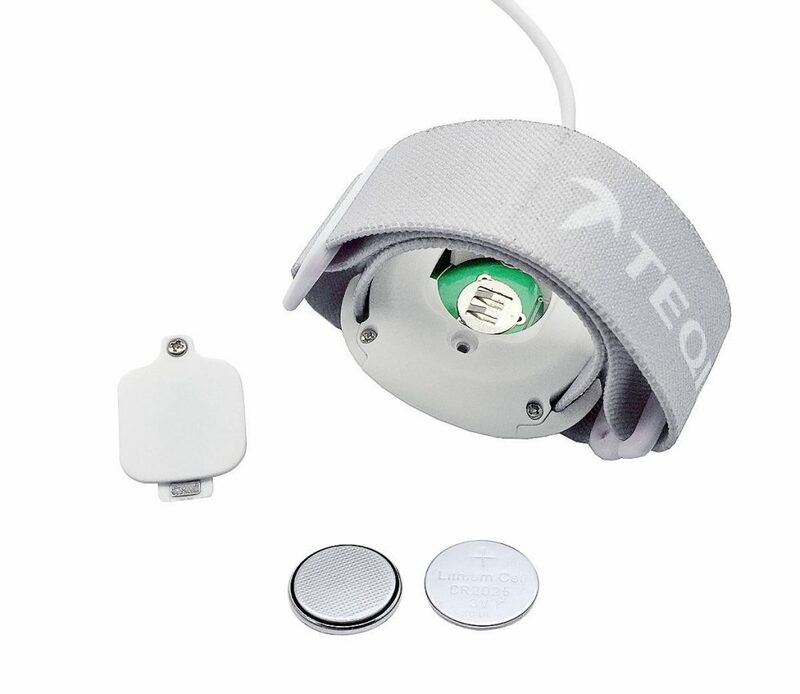 The mat lies below the bedsheet, with the discreet plastic sensor below your child. Furthermore, the mat can provide vibration and also offers eight loud sounds. 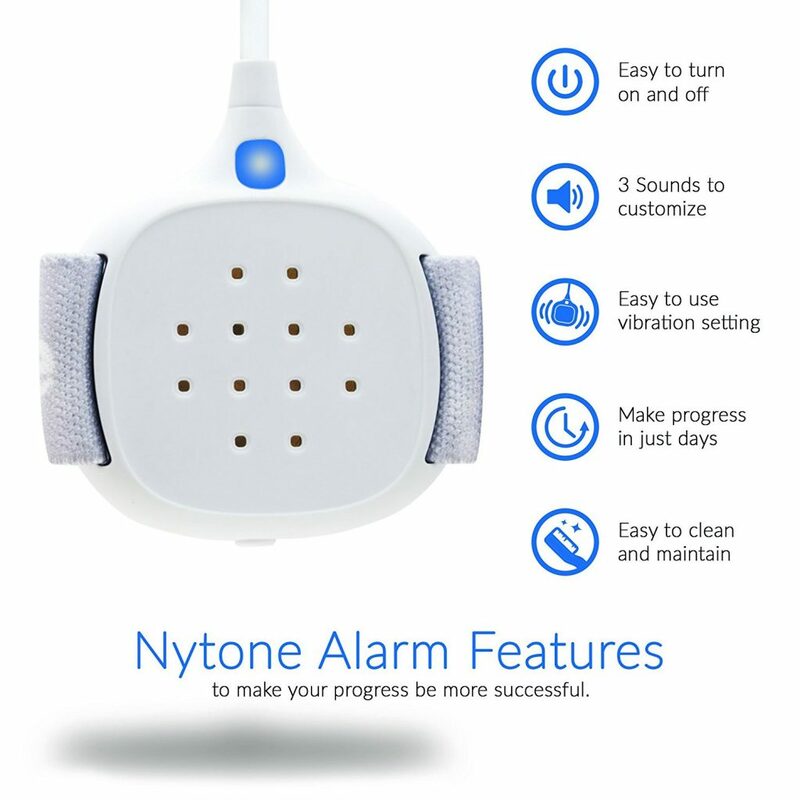 This not only promises to wake up even the deepest of sleepers but also ensures that the users won’t get accustomed to the same sound and ignore it at some point. Apart from being affordable, this device is primarily intended for kids and teenagers who are deep sleepers. It alerts with a bright light, strong vibration, and a loud alert tone. Furthermore, it has a large detection area, so you can rest assured that it will timely notify your child as soon as the bedwetting incident occurs. When it comes to the price of this bedwetting alarm, Walmart promo codes and coupons are a great way to reduce it even further. 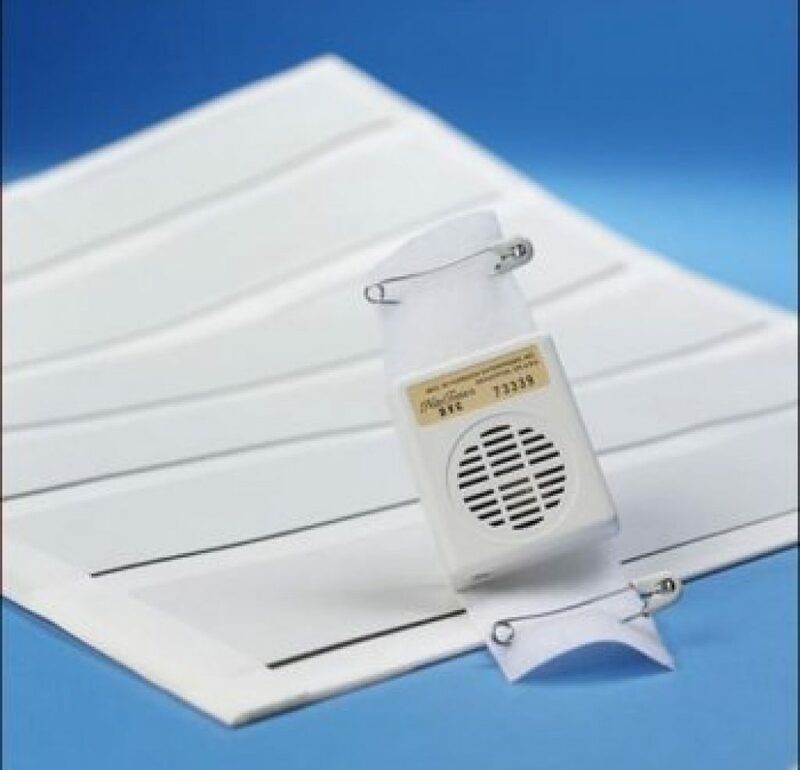 Not only suitable for children, this bedwetting alarm is an excellent solution for adults with incontinence problems or those who are physically or mentally handicapped. It comes with a 19×24” bed pad – which should be placed below a bedsheet – attached to the actual alarm with a 5ft cord. There is the option to choose between high or low volume alerts, depending on how deep of a sleeper the user is. When it comes to the best bedwetting alarm Amazon and other retailers have on offer; this one is a strong contestant among its competitors. Thanks to its small size and light weight, it is exceptionally discreet and compatible with all kinds of nightwear. 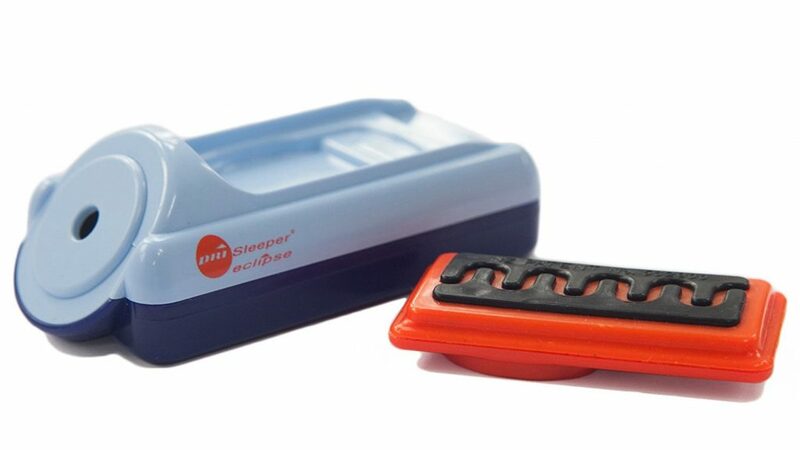 Furthermore, it is battery operated which makes it a great solution for traveling or sleepovers. When it comes to the actual alert, aside from the audible alarm, the device also vibrates on the user’s arm to wake them. This is one of the loudest bedwetting alarms you will find on the market. Powered by the Urosensor technology, this is also the thinnest one of its competitors. However, it is in no way less efficient. The alarm is separate from the wide detection area and should be placed at a moderate distance from the bed. That way, the use will have to get up to turn it off which is, in fact, how the whole bedwetting treatment using this device works. Although not the cheapest one on our list, you can browse ongoing eBay deals and promo codes to buy it at a reduced price. Since our primary goal is to give you all the necessary information regarding these alarms, it is of crucial importance to analyze numerous aspects that will help you figure out exactly what you need. There are several considerations you need to put into perspective before purchasing a bedwetting alarm; all of them are listed below. There are several types of alarms. Some of them are for kids and teens only, and some of them are for both children and adults. It is not unusual for a small kid to experience issues with bedwetting; however, if you notice that this is happening to anyone who is a teenager or an adult, advise them to seek medical help. It won’t necessarily be anything severe, but it might be a sign of a certain health condition. It is worth mentioning that these bedwetting alarms are one of the most effective and safest ways to help your children deal with bedwetting. They are designed to alert their users so they can wake up, and go to the toilet to finish urinating. In the beginning – around the first week or so – the parents are usually the ones to wake their children up as soon as they hear the alarm. After a short while, however, it will become a habit of children to wake up on their own. You know your child the best; consequently, you should be the one who will choose the mode of the alarm to wake them up. Alarm units usually come with three options: you can choose vibration only, sound only, or you could pick a combination of both. 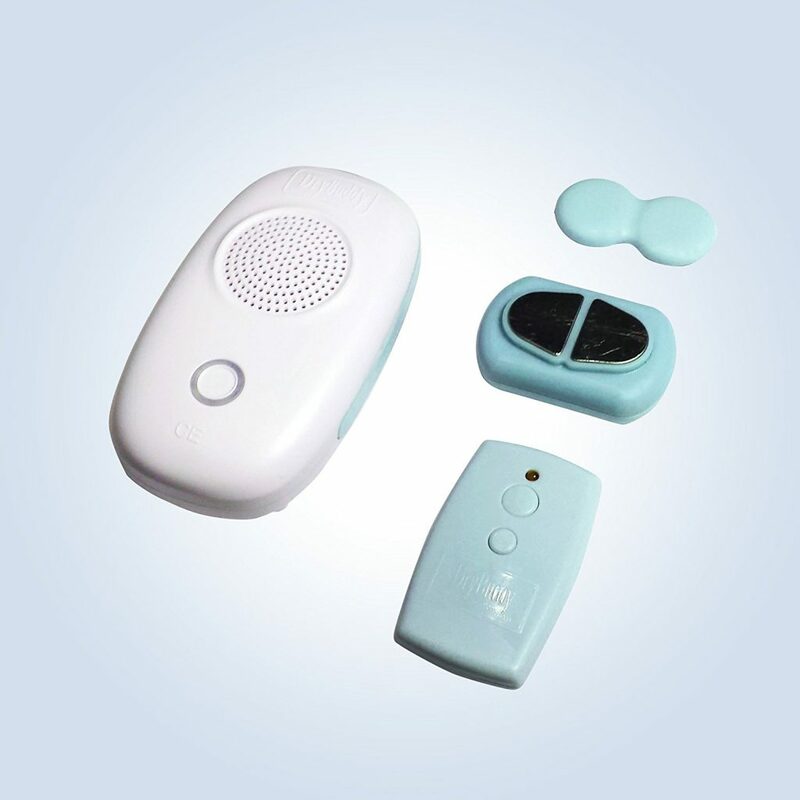 The first option is most suitable for children who easily wake up or who are hearing impaired. However, most parents opt for both vibration and sound as this combination has proven to be most effective. There are three types of bedwetting alarms, according to the way they’re worn at night. 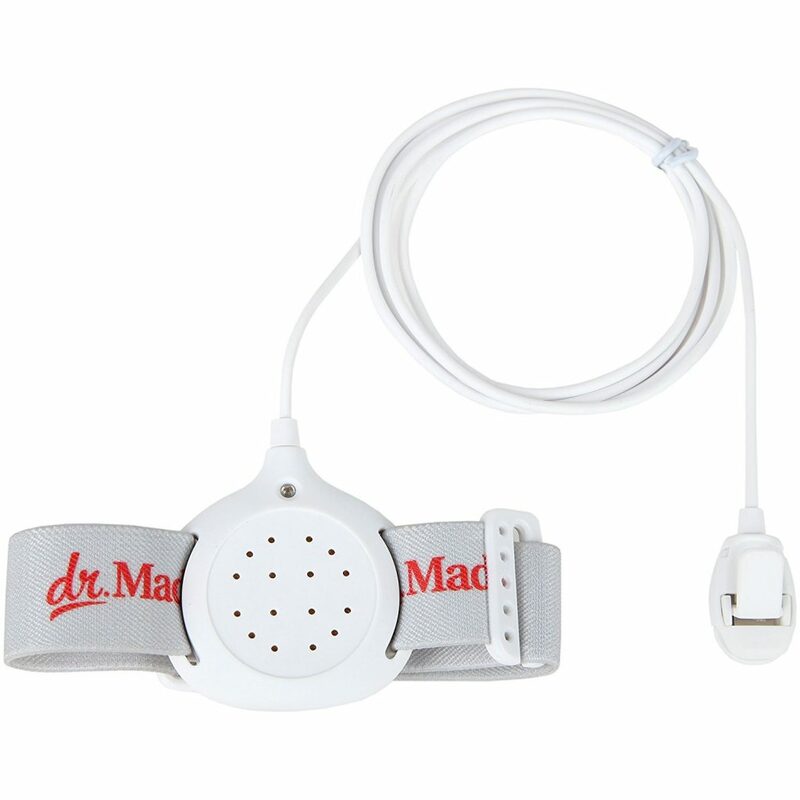 A clip-on alarm for bedwetting attaches to children’s pajamas or underwear. This type of sensor detects moisture almost instantly. Wireless alarms are more efficient, and that is why they tend to be more expensive. In this case, the sensor and alarm are separate. Still, you can reduce the extra cost by applying one of the numerous Groupon discounts. Finally, pad bedwetting alarms are typically placed on the bed. They usually soak up urine before the alarm goes off, which makes them less efficient when compared to clip-on bedwetting alarms. Bedwetting incidents shouldn’t be considered an issue up until the age of seven. Bedwetting alarms are an excellent way to overcome this issue, whichever the period in life it occurs. However, even when using the best bedwetting alarm, that has to be done within a certain time frame. If we consider that it usually takes up to six weeks for a habit to form, make sure to track whether the user has overcome their problem within this period. Otherwise, we suggest you visit a doctor.